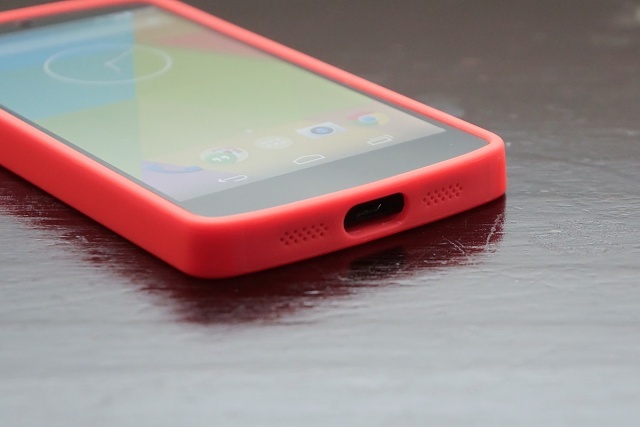 I bought a bumper case for my nexus 5 last week and was surprised to find that the speaker/microphone grilles on the phone don't match up with those on the case. 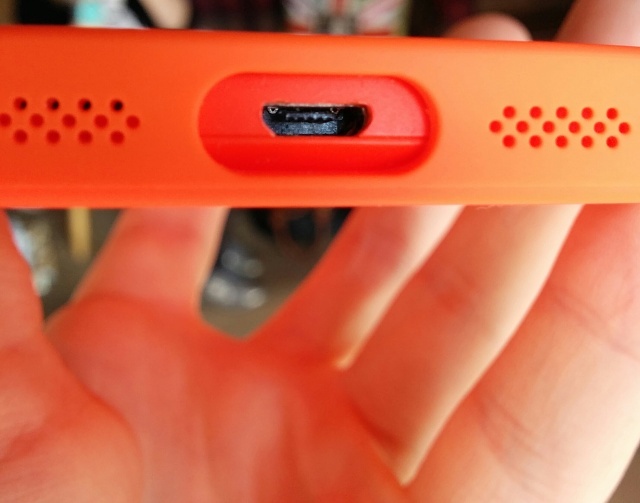 The lower line of grille holes on the phone only match with the upper grille holes on the case. It's easily noticeable with my red nexus, much harder to spot with a black one. Does anyone else have this problem or does mine just have a manufacturing flaw? pics? looks fine to me. You can make out on the left grille that the top row of holes matches the lower row on the phone. The same true on the other side but the angle/lighting isn't quite right. The image you have shown doesn't show anything apart from that on a black nexus 5 it is difficult to spot the speaker holes. Replying to notifications on Gear Fit.